Water treatment like softening systems and conditioners reduce the dissolved minerals such as calcium, magnesium, and to some extent manganese and ferrous iron ion concentration in hard water. 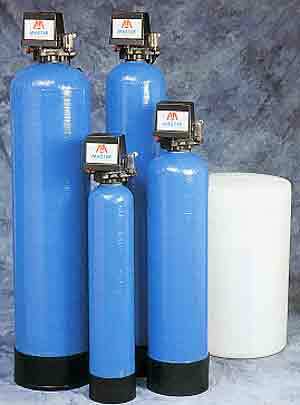 Hard water is made up as high mineral content and recharging cycle is required to minimize the minerals. Build up of these minerals will affect the taste of your water, and have adverse efficiency on water heaters. A water conditioning and softening system will save you money on soaps and detergents while eliminating the scale buildup that can potentially harm your plumbing fixtures and water-using appliances. Water conditioning and softeners can be installed under sinks for direct use for your water needs or used as a whole house system to meet all of your water conditioning needs.